A full day in the Bay Area included some favorite sights. 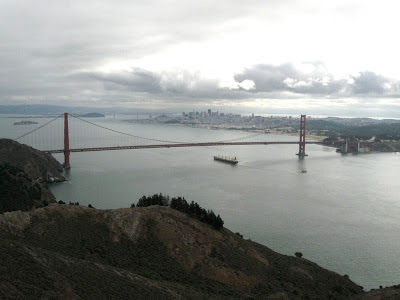 On a number of visits to the Marin County area we have enjoyed the view of the Golden Gate strait connecting the Pacific to San Francisco Bay. On previous visits finding a spot to park was a Wild West experience. Side of the road parking was unpaved, unmarked, untamed. At least that is how I remember it. The whole area—and the experience—has now been thoroughly domesticated. 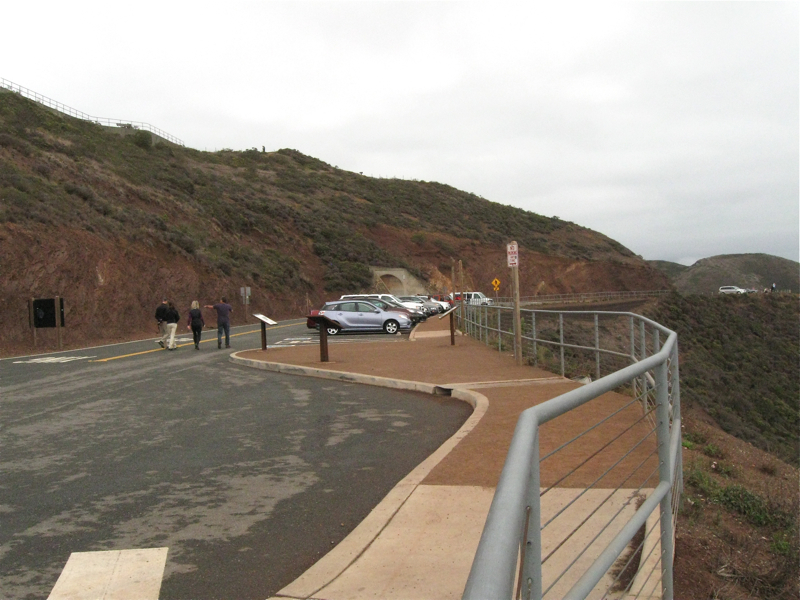 Paved parking, beautiful walkways of level pavers, guardrails and interpretive signage now grace the area. This stroke survivor appreciated the easy-to-navigate surfaces. I also relished the information about the battery for huge guns, left unfinished when Pearl Harbor rendered obsolete such protective measures for sea coasts. I do miss the energy of the days when snagging a parking space was an adventure. It was definitely a competitive sport, but surprisingly good spirited. Maybe with today's stress ladened, gun toting folks, taking the competition out of parking spots might be a good thing. The new look also appears to be wheel chair accessible. I know these days, I appreciate a level surface.